When BFF moms have children graduating from the same high school and starting their next life chapter at the same university, of course you have to throw them a bash to remember together! 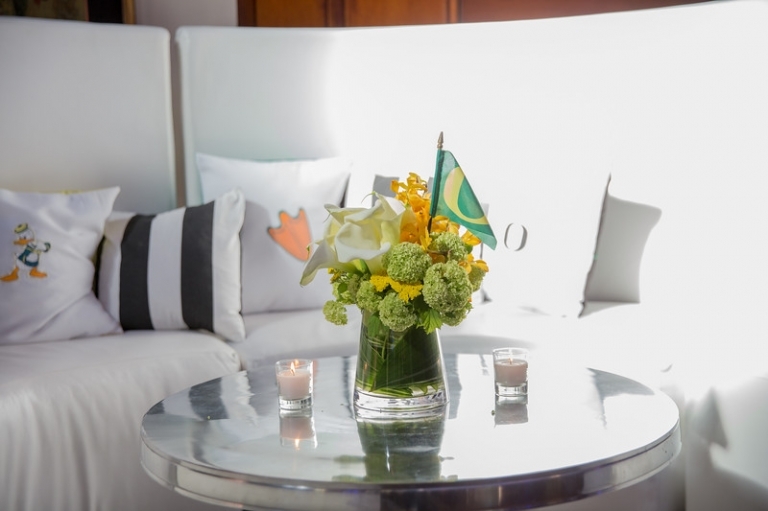 We wanted to take the elegant space and pump it up for the Instagram crowd to revel in their accomplishments, so we brought in some sleek furniture complete with custom pillows featuring logos from Ian and Amaia’s new university. 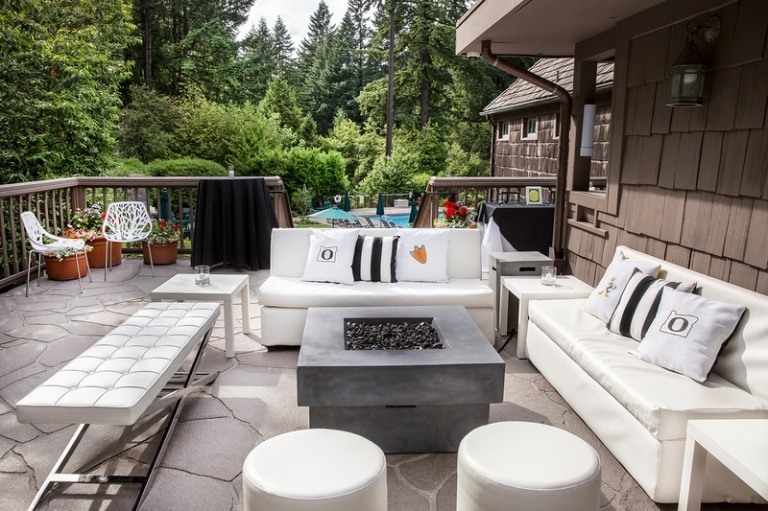 We created a Snap-ready fire pit and lounge area outside to take in the Northwest summer. 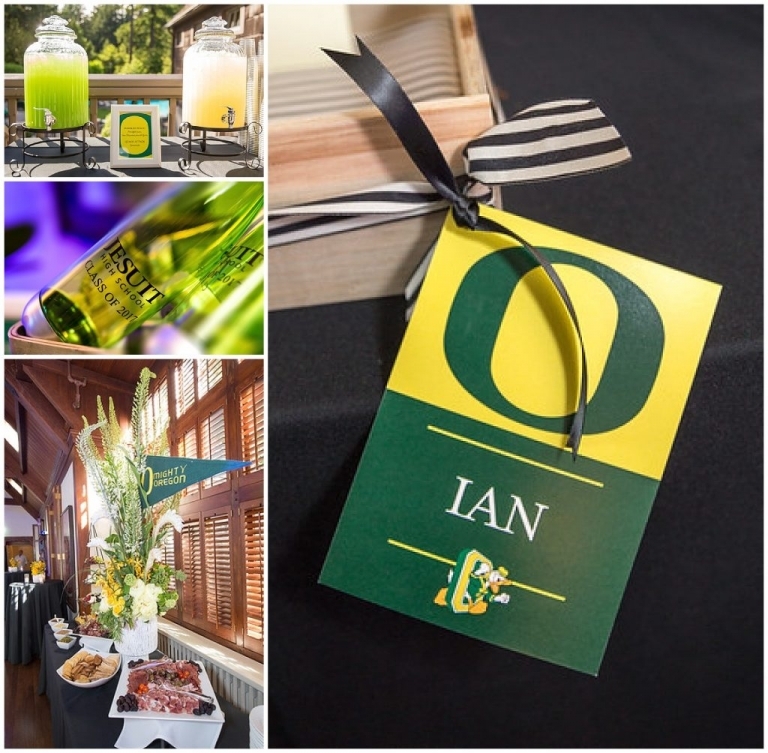 In a happy coincidence, both the high school and university share the same school colors, so green and gold everywhere – from the gorgeous flower arrangements to the balloons, the signature beverages to the fabulous custom signage and water bottles. Throw in a cool DJ and a Ruby Jewel ice cream station and you have an Instagrammable graduation celebration that both teens and adults enjoyed. Congratulations Amaia and Ian – on to your next adventure in college! 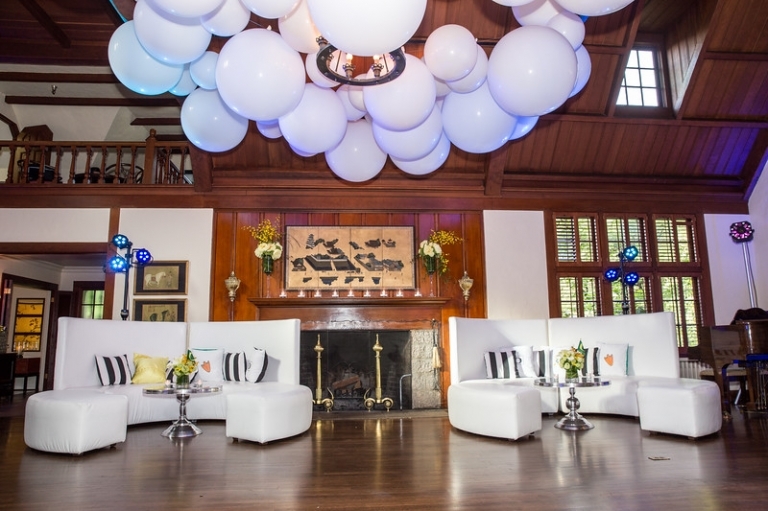 Modern white furniture brought in from West Coast Events featured custom University of Oregon pillows to give the Portland Racquet Club a fresh pop for the high school graduates. Green and Gold for the WIN! These graduating Jesuit Crusaders won’t have to change their colors as they become Oregon Ducks. Custom signs throughout from Crave Designs tied everything together. Thank you, grads and moms, for letting BLC Events create a memorable celebration for your big day!